Upgrade your deck with beautiful Veranda High Performance (HP) Fascia. Create a finished deck look by concealing the under-structure of your deck. Veranda Fascia comes in x 11-1/4 x 12 and matches all Veranda HP colours: Grey, Walnut and Redwood. Designed to accent your Veranda HP Decking and railing. Veranda HP Fascia ensures you will not have to paint or stain the wood under-structure. 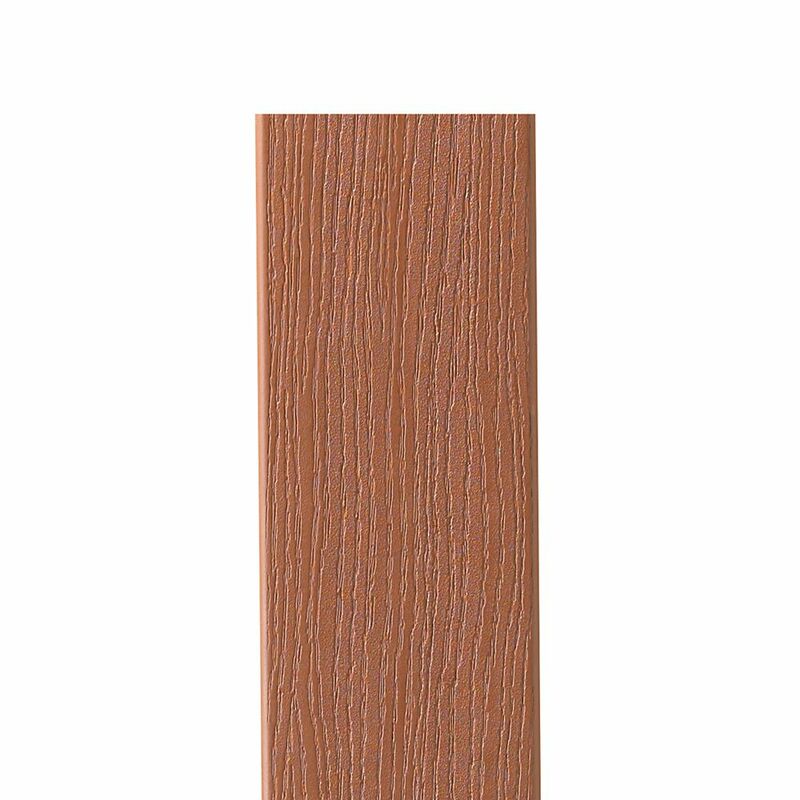 12 Ft. - HP Composite Capped Fascia Redwood - 11 1/4 in x 1/2 in Upgrade your deck with beautiful Veranda High Performance (HP) Fascia. Create a finished deck look by concealing the under-structure of your deck. Veranda Fascia comes in x 11-1/4 x 12 and matches all Veranda HP colours: Grey, Walnut and Redwood. Designed to accent your Veranda HP Decking and railing. Veranda HP Fascia ensures you will not have to paint or stain the wood under-structure.